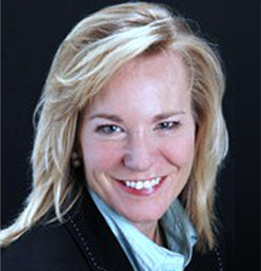 Diane Kruse is the founder and CEO of NEO Connect, a company that designs and builds Middle Mile fiber optic and Last Mile FTTH/FTTB/FTTX projects. Kruse has 25 years of telecommunications industry experience, the last 15 as an entrepreneur starting and managing successful telecommunication companies. Prior to NEO Connect, she was the CEO of Zoomy Communications, a leading firm in the FTTH industry for greenfield real estate development projects and FTTH construction. Ms. Kruse has provided management consulting for AT&T Broadband, Media One, Qwest, 360 Networks, and Level 3 Communications, and held numerous management positions with Sprint Communications. She developed business and financial plans for several municipalities that are deploying community broadband services and FTTH networks, and wrote the Statewide Telecommunications and Broadband Services Plan for the State of Colorado. Ms. Kruse has served as Chairman of the Board of the Fiber to the Home Council, a non-profit organization whose mission is to promote, educate and accelerate Fiber to the Home deployments. She is a frequent speaker at national telecommunications conferences on community broadband networks and FTTH networks.